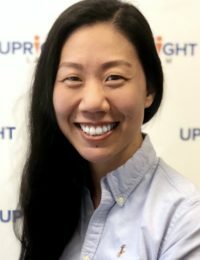 Jocelyn is Vice President of Compliance at UpRight Law. She develops and manages compliance programs and drafts and implements policies and procedures for all facets of the organization, including client intake, communications, partner vetting, trust accounting, and e-discovery. Jocelyn brings to UpRight Law excellence in operational management, using technology and solid process creation to achieve efficiency gains in the delivery of quality legal services in a highly regulated environment. In addition to her compliance work for the firm, Jocelyn is extensively involved in volunteer work supporting those in need of legal assistance. During her time at UpRight Law, she initiated the firm’s involvement in numerous pro bono and volunteer activities, including the Legal Assistance Foundation Bankruptcy Help Desk, Credit Abuse Resistance Education (CARE), and Illinois Legal Aid Online, which have resulted in the contribution of over 500 hours of attorney time. Jocelyn earned her J.D. from Case Western Reserve University School of Law in Cleveland, Ohio, where she served as Student Bar Association President and received the School of Law Leadership Award. She earned her B.S. in Molecular Biology and B.A. in Economics from the University of California, San Diego. 6 years since Jocelyn Galloway was first licensed to practice law.